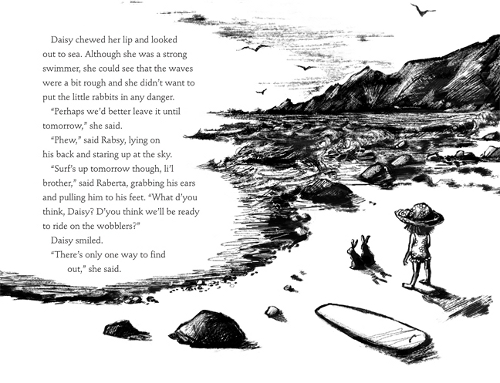 That spread, by the way, is from the newest title in the series, Daisy Dawson at the Beach, released here in the States in April. “‘Daisy, don’t dawdle!’ called her mother as Daisy Dawson ambled out into the sunshine and stopped to pick up a worm that was stranded on the path. 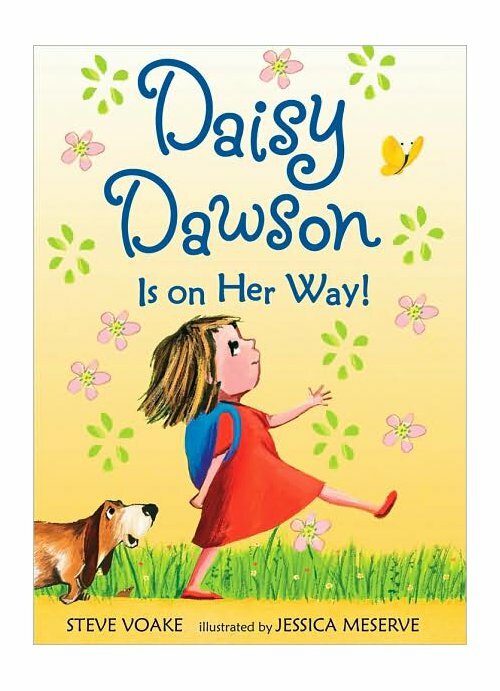 DAISY DAWSON IS ON HER WAY!. Text copyright © 2007 by Steve Voake. Illustrations copyright © 2007 by Jessica Meserve. Reproduced by permission of the publisher, Candlewick Press, Somerville, MA, on behalf of Walker Books, London. 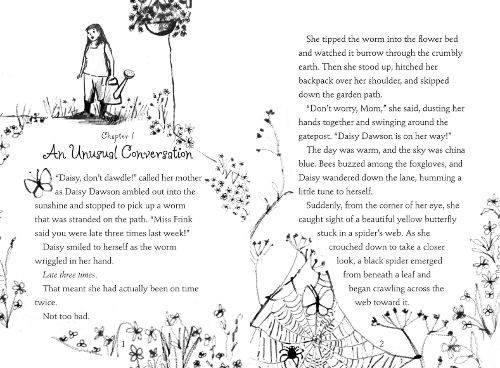 DAISY DAWSON AND THE SECRET POND. Text copyright © 2009 by Steve Voake. 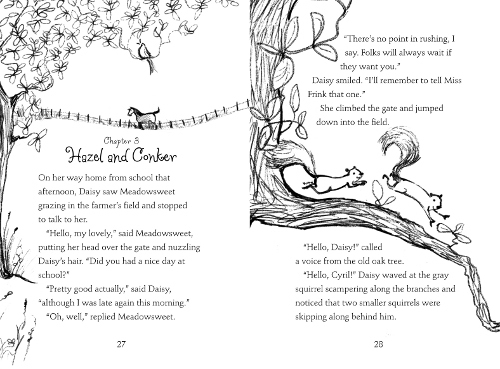 Illustrations copyright © 2009 by Jessica Meserve. Reproduced by permission of the publisher, Candlewick Press, Somerville, MA, on behalf of Walker Books, London. 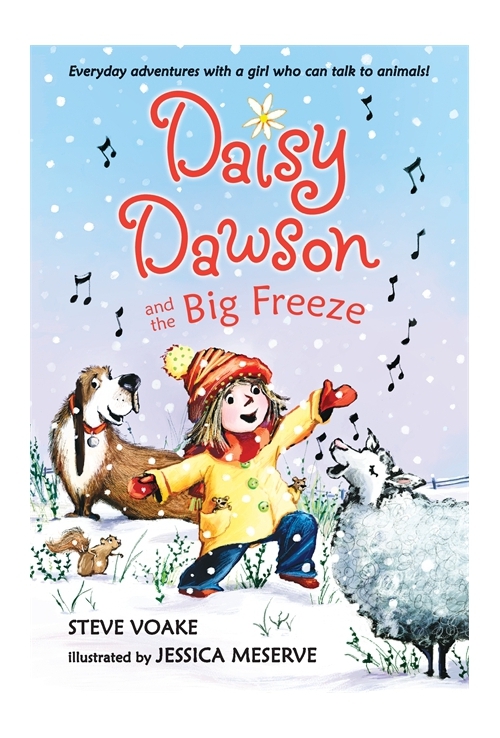 DAISY DAWSON AND THE BIG FREEZE. Text copyright © 2009 by Steve Voake. Illustrations copyright © 2009 by Jessica Meserve. Reproduced by permission of the publisher, Candlewick Press, Somerville, MA, on behalf of Walker Books, London. DAISY DAWSON AT THE BEACH. Text copyright © 2011 by Steve Voake. 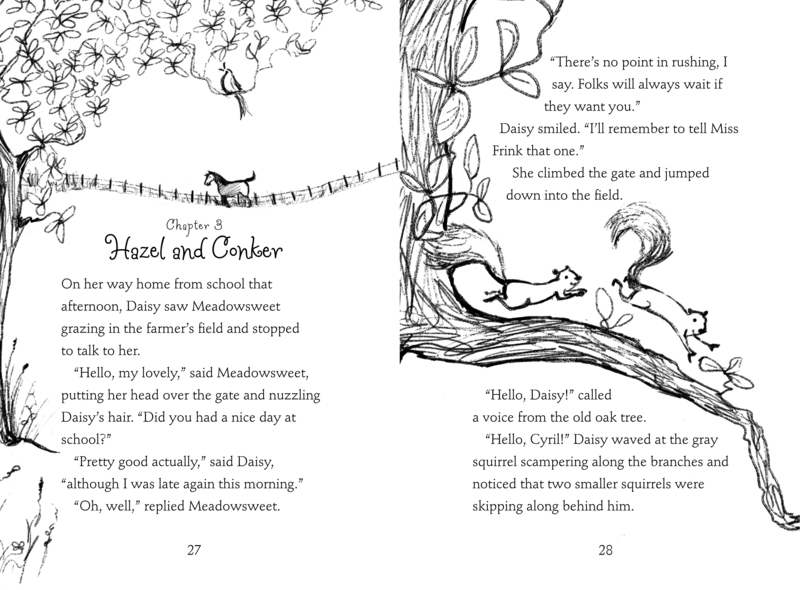 Illustrations copyright © 2011 by Jessica Meserve. Reproduced by permission of the publisher, Candlewick Press, Somerville, MA, on behalf of Walker Books, London. Thanks so much for all your kind words about Daisy Dawson – I love reading your blog and feel very honoured for Daisy to be a part of it. 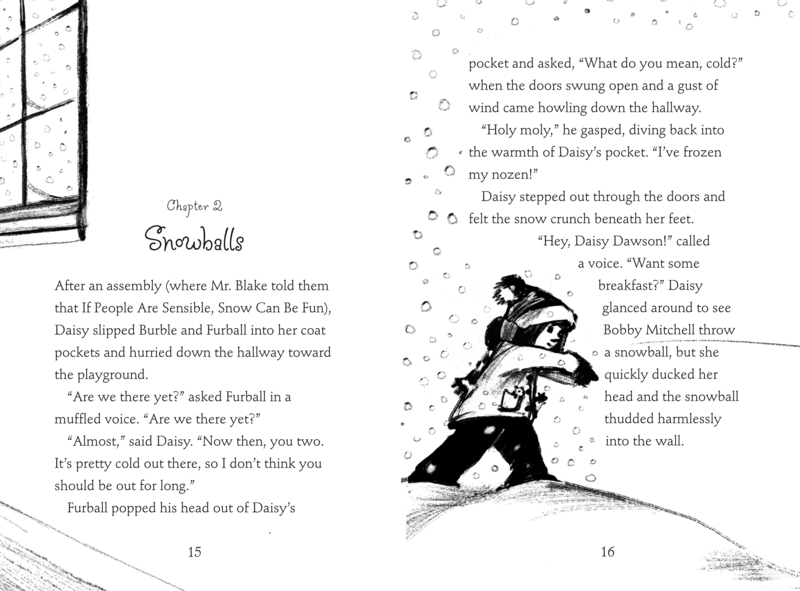 I thank you again for recommending Daisy Dawson to me through your blog! I’ll be offline tomorrow – Might I post my kicks now? Yes, I’ll even copy them into the kicks post, LW! Congrats on #4s and 5! WOOT! Steve, my pleasure — entirely.